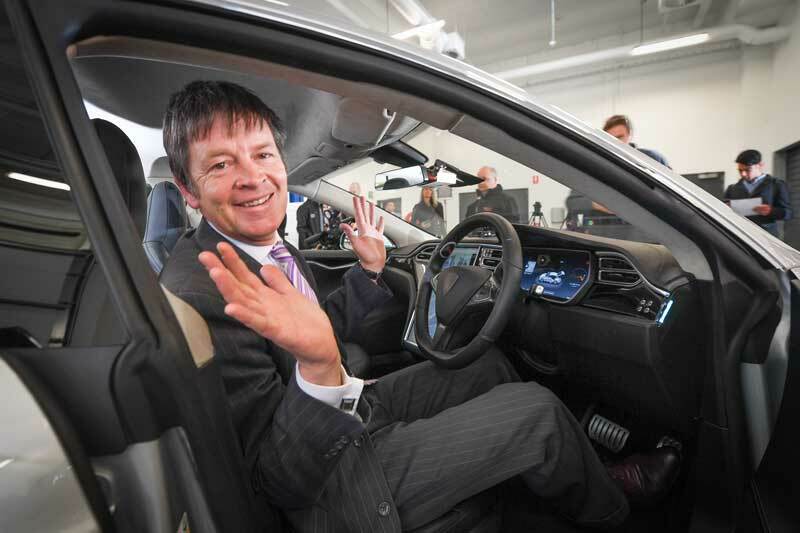 Above photo: Minister for Roads and Road Safety Luke Donnellan inside an automated car made by Bosch, which was developed in Australia with self-driving capabilities in October 2016. Photo credit: Transport Accident Commission Victoria. An automated vehicle trial is underway on the Monash-CityLink-Tullamarine corridor to help Victoria prepare for the future of driverless vehicles. The Andrews Labor Government is partnering with VicRoads, Royal Automobile Club of Victoria (RACV) and Transurban, to trial connected and automated vehicles from manufacturers BMW, Mercedes, Tesla and Volvo. The study will look at how to prepare road infrastructure, regulations and the community for the integration of this new technology into Victoria&apos;s transport system. This first phase of the program will examine how features like lane keep assist, adaptive cruise control and traffic sign recognition, respond to the road environment including tunnels, road works, congestion, electronic speed signs and line markings. “Victoria is at the forefront of automated vehicle technology – we’re investing in this trial to explore ways that this technology can be used to reduce crashes and keep people safe on our roads,” said Minister for Roads and Road Safety Luke Donnellan. The vehicles involved in the trial comply with existing Australian Design Rules and road safety regulations and will have professional drivers who will be holding the steering wheel at all times when conducting trials in live traffic. Automated vehicles have enormous potential to make our journeys safer and more efficient, and to help the community travel with more ease, including people with limited mobility. Automated vehicles are an important step to reducing road trauma, with human error contributing to more than 90% of crashes. Phase 1 of the trial will be complete later this year. The complete trial program will take 2 years and consists of 3 phases. Last week, Transport Minister of the state of New South Wales (NSW) in Australia, Andrew Constance and Roads, Maritime and Freight Minister, Melinda Pavey, launched the trial of a driverless bus shuttle, the first precinct-based trial of an automated shuttle in Australia.